This picture is a tree in my neighborhood. It appears the owner of this property is trying to save some money by taking the dead tree down piece by piece in a rather creative way. It looks like they tried the first ladder, then decided maybe a taller ladder would help. Since that looked unstable, they tried some bungee cords for support. They found a way. Does your life ever feel like this? Things are going smoothly until you run into something that needs to be addressed and you make an attempt to find a way. You add one more support. You make a new attempt. You judge quickly and only look at what is directly in front of you. You try to reach higher. You do it alone. You don’t ask for help. 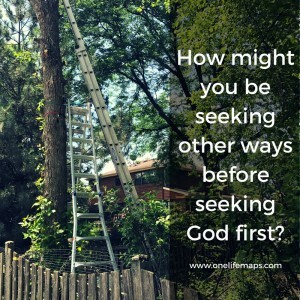 Might God be inviting you to seek His way? Might God be saying He can provide a support that has a firm foundation? Might God be inviting you to look up into His grander story? Might God be inviting you to include Him and His people in finding a way? 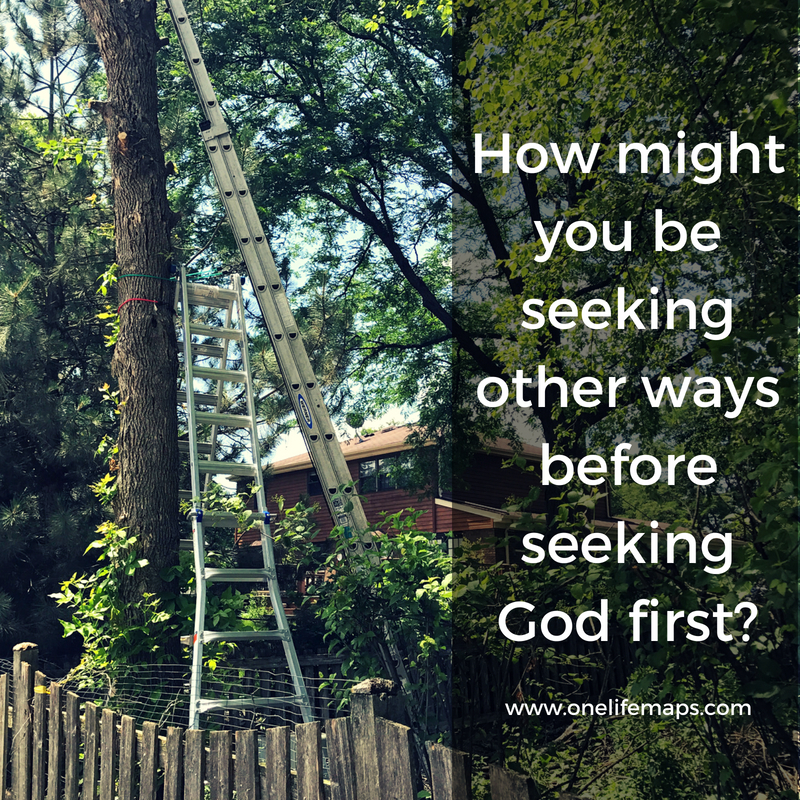 How might you be seeking other ways before seeking God first?